Hello again. Welcome back to Asep Haryono personal blog. 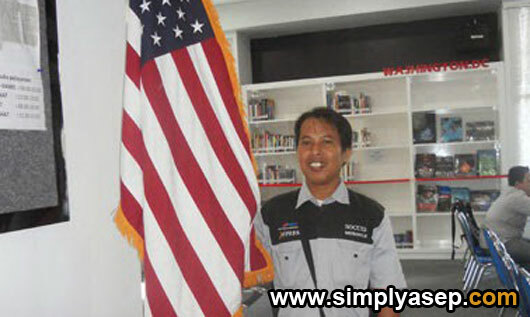 This is a blog of Asep Haryono from Indonesia. First of all, I would like to introduce a little bit about myself. I was born in a family of nine. Six elder brothers, one elder sister and one younger brother. All my family members are in different cities outside the Island I have been living in : Jakarta, Tanggerang and Bekasi. I would like to apologize for my English at the moment. However the language is not my mother tongue, but I was so lucky that I have been studying the language more than twelve years since I was at year 12. I continued studying the language at University starting from the year 1990. Unfortunately I must drop my studies due to I was not able to pay the tuition fees. I have not been able to pursue my first degree in English studies. I always dreaming of getting my studies someday in a real foreign countries like Australia and The United States Of America. Some of the efforts I have been through to make my dream comes true but again I always got failure. I was not successful and this happened many times again and again. I have never been to any foreign countries for the rest of my life. What I mean is those English speaking countries whose mother tongue is the English language. I have only visited one and only country in the South East Asia such as Kuching, and Kuala Lumpur, Malaysia. Today, I would like to share one of my ultimate dream which I have not been able to achieve so far : traveling or trip to The United States Of America as a student at any part of the country through scholarship or as a tourist. Both of them are very much important for me. I would never mind at all If had the change to visit the country as a tourist but I will be more than happy if I could be there a a student at any university in any part of the country. I have many friends out there whose studies taken at certain university in America under Study In The United State University (SUSI) under administration of the educational institution of the United States Of America. Some of the returnees were from Community College Initiative Program (CCIP) under the scholarship of AMINEF FULLBRIGHT foundation. I used to take the selection test of the CCIP AMINEF FULLBRIGHT in 2012 with English as my major study. Unfortunately I was rejected by the first appearance due to my application form was not complete. I have not prepared any proof of the language proficiency such as TOEFL or IELTS certificate beside my school diploma was not translated into English yet. I was totally rejected after all. Now I have planned to enter the CCIP AMINEF FULLBRIGHT selection process again and all candidates of the program should already submitted the application form before the deadline of the program in December 1st. I have checked the official page of the AMINEF FULLBRIGHT scholarship that the deadline of the submittion of the application form is the first of December. The download link of the application form will be launched around the beginning of May. I have to prepare some of its requirement such as having all diplomas of my school year 12 have been translated into English including other supporting documents, and a passport ready as well. My passport will expire by the end of July, and I have planned to renew or extend the passport. I have also prepared some friends in America to be my referees which can be very useful to support my application. I am now learning any aspect of my destination from any resources : Internet, facebook fan page , CNN, Television and newspaper as well. I also learning about the security and safety information in my desalination country, America. 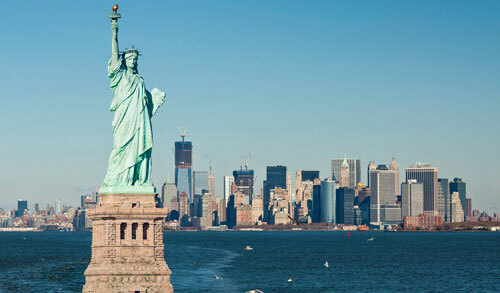 Some people said that visiting to America can be very risky trip. I disagree with that because of all traveling to abroad always have its difficulty and safety issues not only in America. Some people get too crazy with the news, and they always worried about something horrible happened. I need guidance from those people who have been in the country or contacting Indonesia embassy in the country. I will do every thing to make my dream come true. I have been practicing my four skills of English before taking TOEFL or IELTS as well. Lots of things I have been through to succeed this struggle and I hope I can make something special for mee which I will never regret for the rest of my life in anyway whatsoever. I need any kind of support and constructive suggestions from anybody for this struggle in addition to financial back up as well.